Just a Reminder ~ My Personal TPT Store is 20% Off Until Sunday Night! - Fern Smith's Classroom Ideas! Just a Reminder ~ My Personal TPT Store is 20% Off Until Sunday Night! 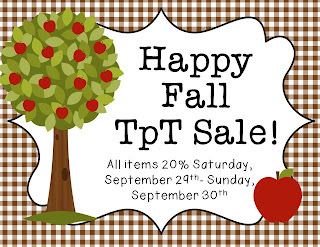 I AM HAVING A TPT 20% OFF SALE! I personally have reached my goal for this 3rd Quarter and I'm celebrating! I have joined some other teachers who are rejoicing and we want to bring you along. So if you have anything in your WISH LIST now is the time to go shopping!